Unsure what resistance or attenuation value you need for your prototype? Tired of repeatedly asking for samples? Want the convenience of having your own assortment of surface mount passive components in your lab? IMS is pleased to offer engineering kits for many our popular thick and thin film surface mount products at a reasonable cost. IMS’ engineering kits are designed to provide engineers and designers with all the basic values needed to build prototypes and pilot runs of new designs. 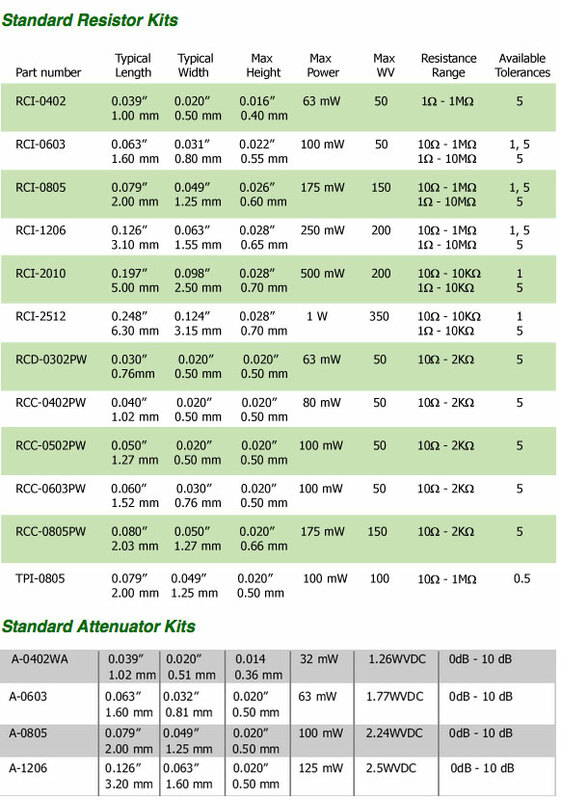 Standard resistor kits are available in 25, 50, or 100 pieces per value of standard e24 (5%) or e96 (1%) values within a specified value range. Below you will find all of IMS’ most popular engineering kits. 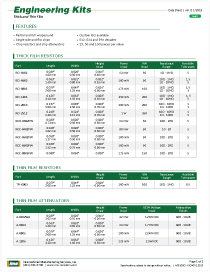 However, kits are available for almost any resistor or attenuator that IMS offers. Don’t see what you are looking for? Contact us today and let us make an engineering kit tailored to your design requirements!